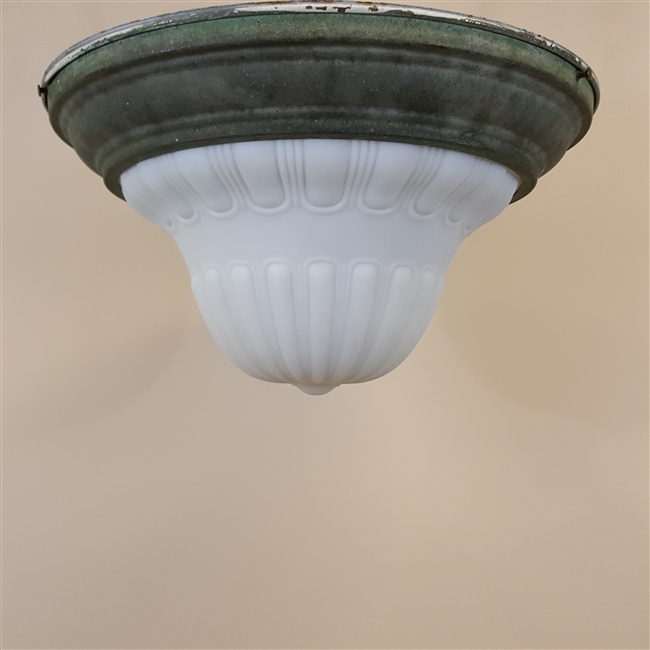 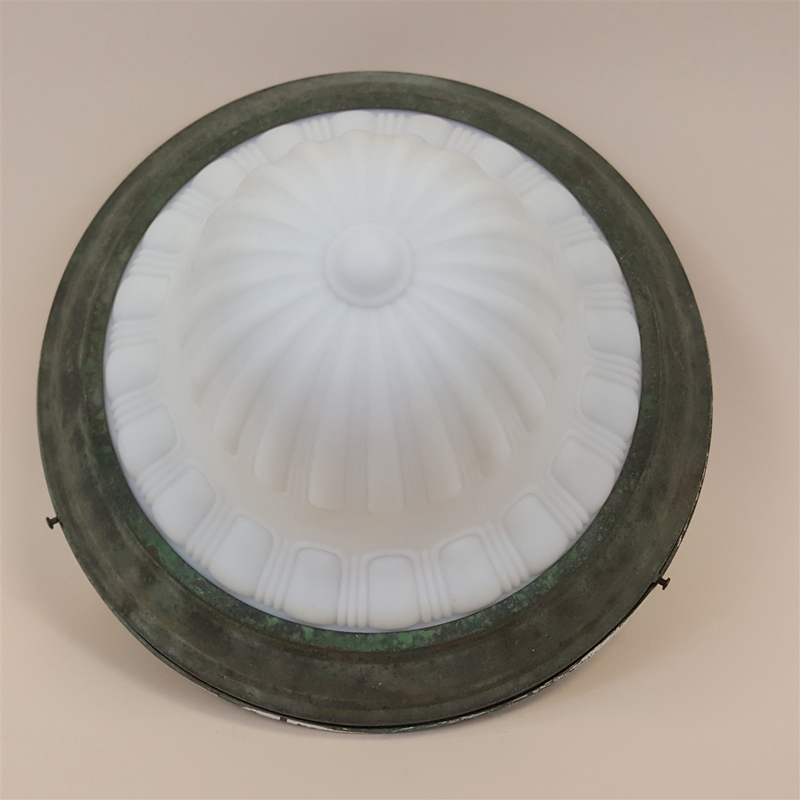 This flush mount ceiling light has a beautiful verdigris finish over brass. 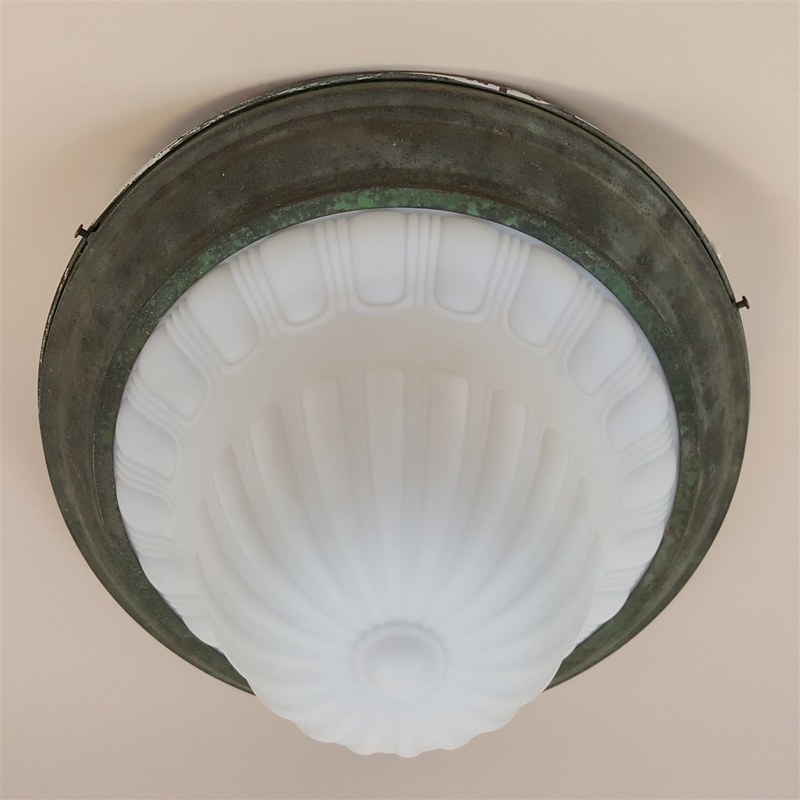 Dimensions: This fixture is 15 1/2" wide and 8" tall. Electrical: It takes 2 (e26) Edison base bulbs with a max of 60 watts per bulb.